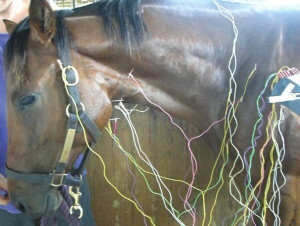 Acupuncture treatments at the Copperfield Equine Therapy & Rehabilitation Centre. Catherine has spent the last 24 years working as an Equine Acupuncturist with an established reputation. Catherine is a Certified Equine herbalist, using herbs and a holistic approach for over 24 years. We specialize in complimentary herbal feed supplements that can help to sustain health and wellness in training and stressful situations. To be used in conjunction with a well balanced diet and balanced nutrition. * Feeding your horse according to body weight and workload using calories of a type and amount suitable to maintain normal weight. * Using supplementation, nutrients and nutraceuticals to support normal growth and assist the horse in dealing with stresses, injury or illness, immune system support. * Unique nutraceutical approaches for horses with skin and respiratory allergies. * Feeding a natural diet to avoid Gastro Intestinal problems. 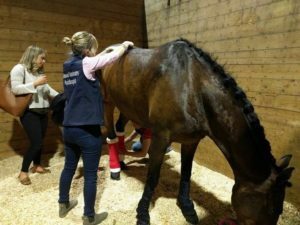 * Laminitis, Abscessing and white line disease-Maintaining and sustaining healthy hoofs.